When the Bluetooth Special Interest Group (SIG) released the Bluetooth mesh specification in mid-July, the launch heralded something much greater than just a new wireless spec. The move formalized the latest major development in mesh technology that will increase its adoption in Internet of Things (IoT) applications. 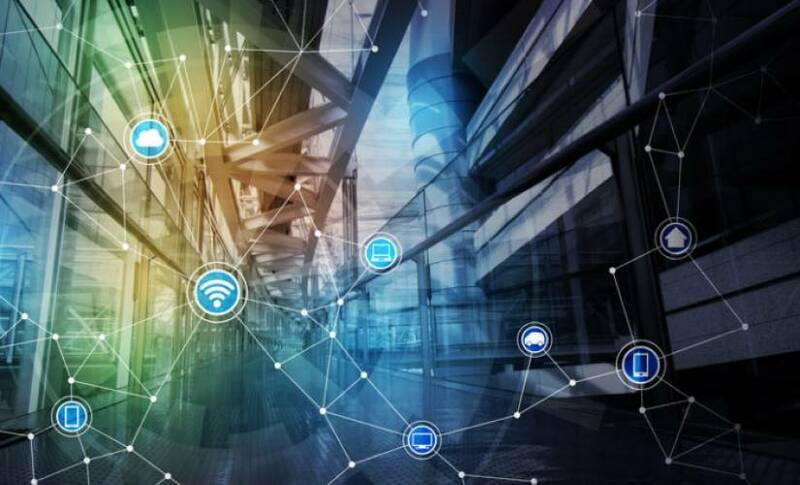 The technology’s reach in both home and commercial installations of connected devices is expanding by the day, led by a handful of mesh networking standards, or protocols. The Zigbee Alliance first released its low-power mesh networking stack in 2004, which you’ll now find used in smart home solutions including connected lighting offerings from the likes of Philips and OSRAM as well as in smart metering applications widely deployed in the U.S. and Great Britain. A second protocol, Thread, received a big boost for its association with Nest and Google as founding members when launched in 2015. Thread-enabled products are just hitting the market thanks to its ability to offer reliable low-power IP mesh connectivity. The efforts of companies like eero, who are putting Thread infrastructure in place integrated with its mesh-based Wi-Fi network, are encouraging other vendors to develop Thread mesh applications. With offerings from Google, Samsung, Netgear, Linksys and Luma, Wi-Fi mesh is becoming more common in the home, further growing the popularity of mesh usage. With the IoT already teeming with mesh networking options, what’s the need for yet another from Bluetooth? It might seem that their addition to the space could confuse a market unsure of which type of mesh should be used for each new IoT development. Each low-power mesh technology has its strengths and best use cases, so we won’t see one dominant mesh standard. Bluetooth does, however, connect 8.2 billion devices today and is projected to be used in 60 percent of wireless devices by 2021 (according to ABI Research). Bluetooth comes in many flavors as well, from classic “one-to-one” communications for continuous voice/audio streaming or device-to-device data transfers to beacon-style “one-to-many” broadcasting. Bluetooth mesh is their newest flavor: adding “many-to-many” communications for large-scale networking applications like asset tracking, home and building automation, lighting, beaconing and smart metering. Zigbee and Thread networks relay messages through a routing technique where a message hops from node to node to reach its final destination. Bluetooth mesh, however, uses a “managed flooding” technique in which every device in the network shouts its message to every other node. Though flooding may be easier and more flexible to deploy for simpler applications, it can also add an overhead of higher latency and power consumption for some larger-scale networks. Why the convergence on mesh? Extended Range – In a star network topology, all devices have to be in radio range of the central device. We experience this with our cell phones and Wi-Fi: our call may be dropped or our Wi-Fi connection lost when we move out of range. With mesh, having other devices route messages means they can communicate even when they are not in range of each other. Self-Healing Networks – Many early home wireless technologies supported multi-hop performance, but the network configuration was set by hand when the network was installed. Radio conditions and the environment change over time and mesh provides autonomous self-healing by allowing multiple paths between a source and destination. Enhanced Network Reliability – A well-designed and well-implemented mesh network provides exceptional reliability because it can better route around failures or intermittent connections. Scalability – As networks grow to hundreds of devices, having a single, central connection point can create a bottleneck. Building larger, more scalable networks using mesh can enable you to spread the radio load across the network. Improved Energy Efficiency and Battery Life – For devices that are transmitting frequently, transmit power becomes an important factor in battery life calculations. A mesh enables these devices to use lower transmit power with powered routers reliably handling the communications. Despite all this, a mesh will not automatically solve all the IoT’s networking needs. It remains to be seen how well Bluetooth mesh will perform in real-world, large-scale networks. We need to see more field implementations of Bluetooth mesh to evaluate its interoperability, reliability, scalability and performance. Interoperability in particular will become what really matters in a mesh. To date, Bluetooth-enabled products have generally been point-to-point solutions with one vendor controlling the application on both ends. In real-world mesh applications, however, we will see multiple products by different manufacturers that will need to interoperate with seamless message routing and security. Just as Zigbee and Thread have evolved to address interoperability and application layer challenges, Bluetooth mesh will now evolve to meet the needs of a growing and evolving IoT ecosystem, giving developers and end users a new set of solutions designed for larger-scale networks. The author is VP of Software at Silicon Labs, an Austin-based semiconductor innovator whose wireless chips are used by many leading manufacturers of smart home and industrial IoT devices.